Welcome to Dice Fortune Telling! Since time immemorial humans used dice for divination purposes. Although it's not known where and when dice shows up in history, we know for sure it is and similar game tools are one of the oldest game tools of humanity. Sophocles argues that dice is invented during the siege of Troy by the legendary Greek hero Palamedes. But Herodotus claimed that dice have been invented by the Lydians at the time when Attys was the King of Lydia. Both claims discredited by the archaeologists who found the remains of the dice from the different cultural sites. Before being used a lot for the game, dice were used for a series of prophecies for the future. We all know that there are sompe places that Astragals (bone of the foot pegs of sheep, cows and other animals) are still used for this purpose. Astragals are considered as the precursors of dice. 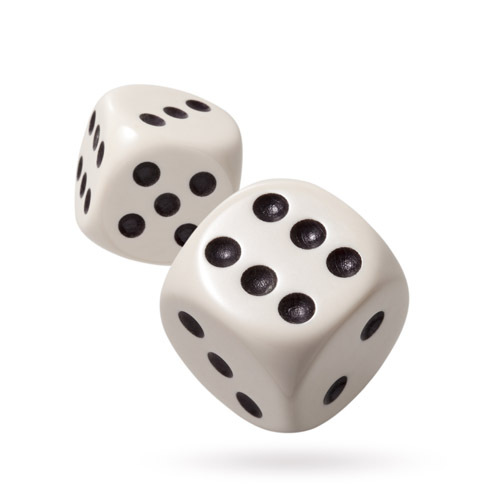 A lot of the dice were made from ivory or bone at late Greek and Roman period. Humanity used wide range of materials such as rice, agate, crystal, onyx, alabaster, marble, amber, porcelain and etc. for making dice. Dice which are cube shaped and similar to present dice excavated from 2000 B.C period Egyptian tombs and cutural site in China which dated 600 B.C. The oldest written record is in the ancient Sanskrit epic Mahabharata and dates back as far as 2,000 years. Will the things that I planned come true?What awaits me in my marriage?When will my financial problems end?What awaits me in my social life?What profession brings me success?Will I be able to go on a trip which I planned?When will the successful period for me next year?Does my love promise happiness to me?How many lovers will I have in love adventures?When will I reach true happiness?What awaits me for the future?When do I have my wishes and dreams?To whom I need to trust and believe?When do I find my lost or stolen things?Are my thoughts true about a person in my mind?Does he/she love me?When will I meet with my real spouse?Will there be problems with the law?Is there any success in my new work?Do my lover or spouse betray me?